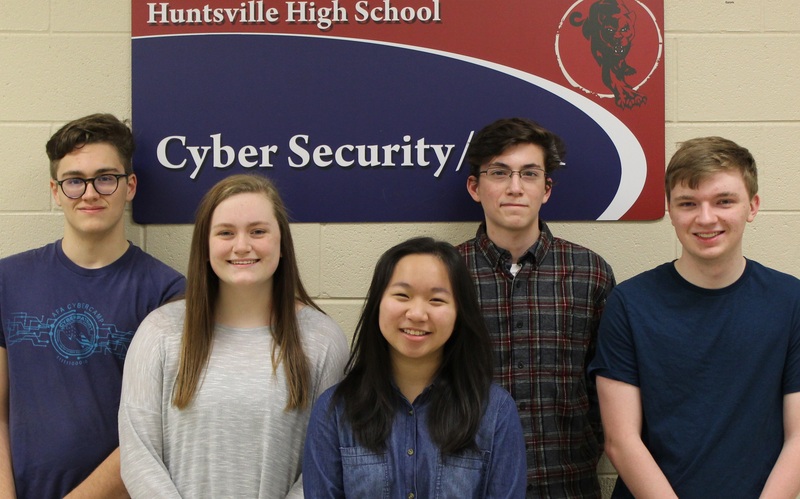 Team180 from Huntsville High School upset the defending champions Grissom HS on January 11th to win the CyberPatriot XI State Championships. CyberPatriots is the National Youth Cyber Defense Competition held annually. The competition puts teams of high school and middle school students in the position of newly hired IT professionals tasked with managing the network of a small company. In the rounds of competition, teams are given a set of virtual images that represent operating systems and are tasked with finding cybersecurity vulnerabilities within the images and hardening the system while maintaining critical services in a six hour period. Team members, left to right: John Dill, Isabelle Brown, Tiffany Dinh, Joseph Meagher, Josh Cantrell.